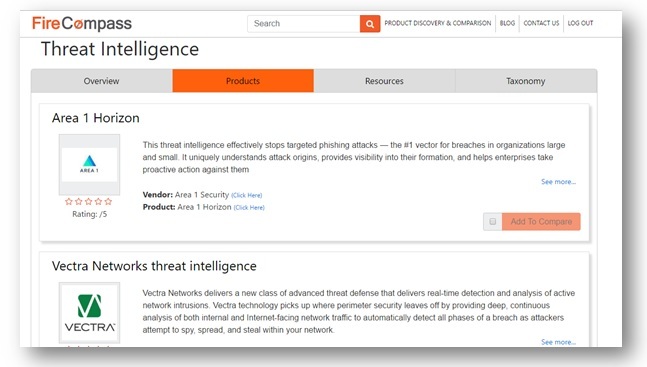 Compare the top products of threat intelligence security market across features like Network Information, Information Flow Integration, Applied Intelligence etc. Eg- Area1 Vs. Vectra, BugThreats Vs. Zerofox TI, Anomali Vs. Falcon-Intelligence etc. 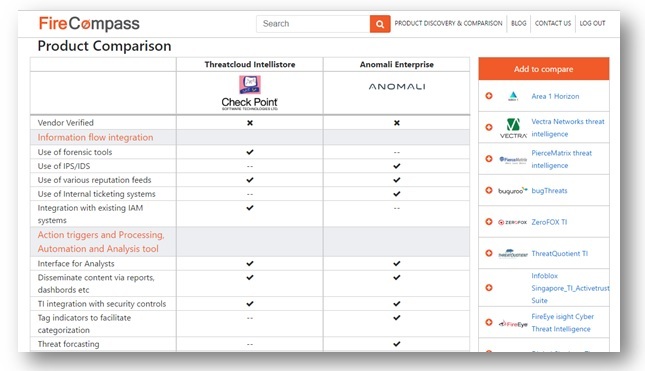 and find the best Threat Intelligence system for your firm.